Finding the right Place to Live when you can no longer live in your own home can be a daunting task. Who do you turn to for guidance? What are my options? How do you know what the right options are for you? 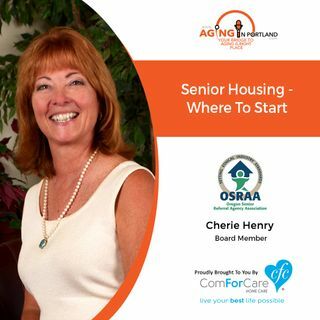 Turn to The Oregon Senior Referral Agency Association. The association is a group of Senior Living Advisors committed to raising the bar through a code of ethics, and business practices related to the process Sherie Henry, a board member and owner of Autumn of Life explains the process of ... See More getting connected to aging in the right place.